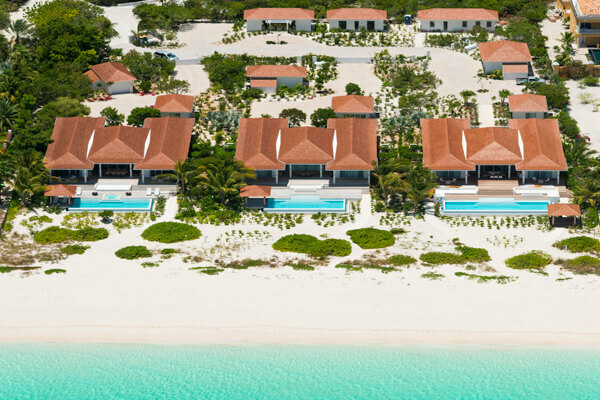 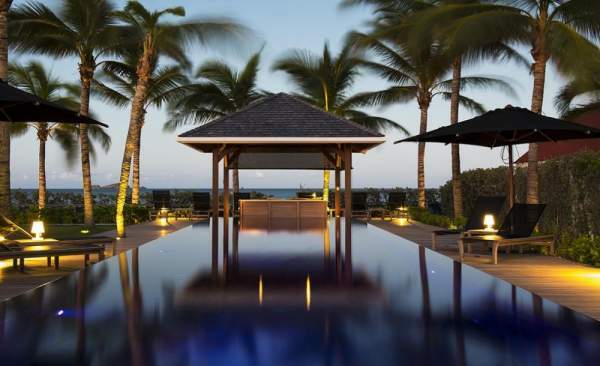 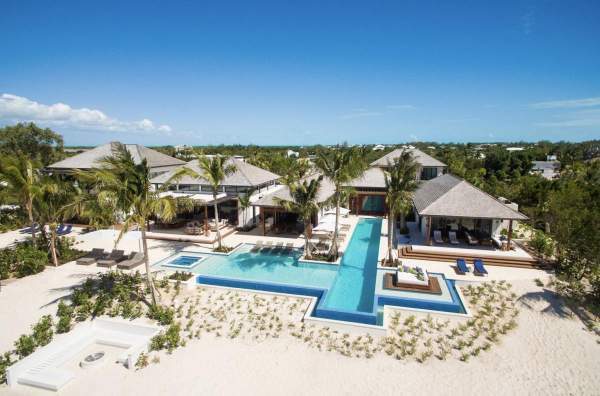 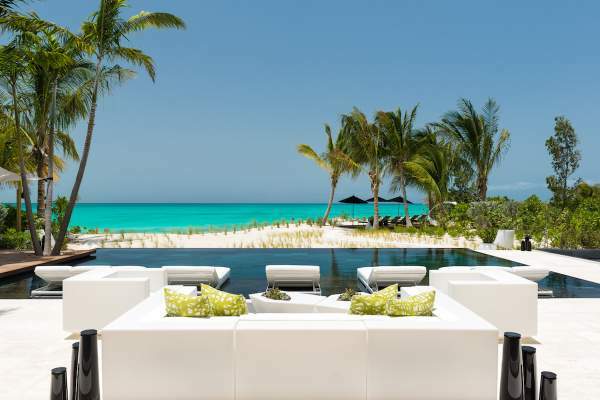 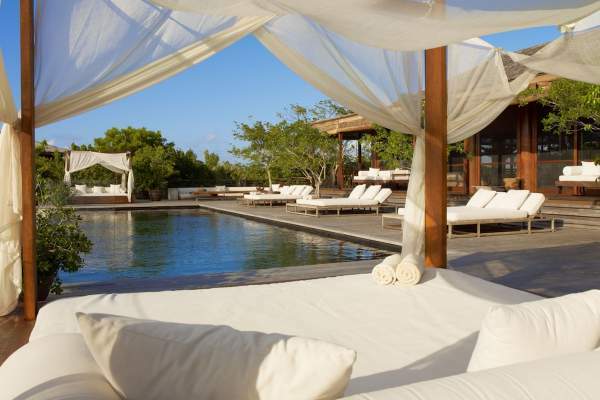 Rustic accents balance elegant design and luxurious amenities at this Punta Cana villa. 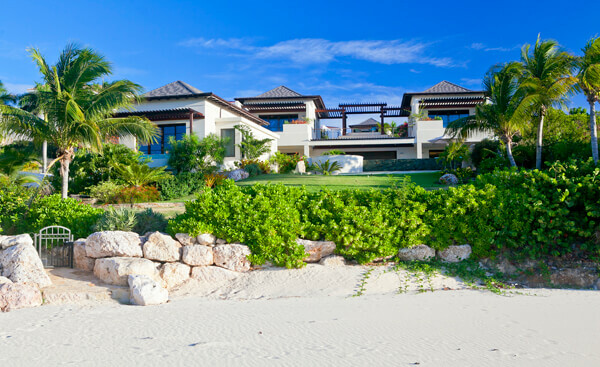 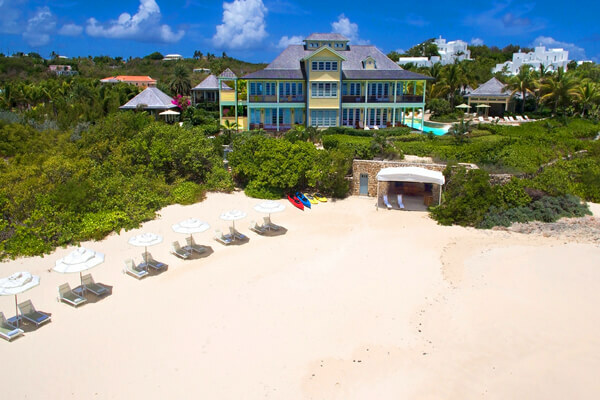 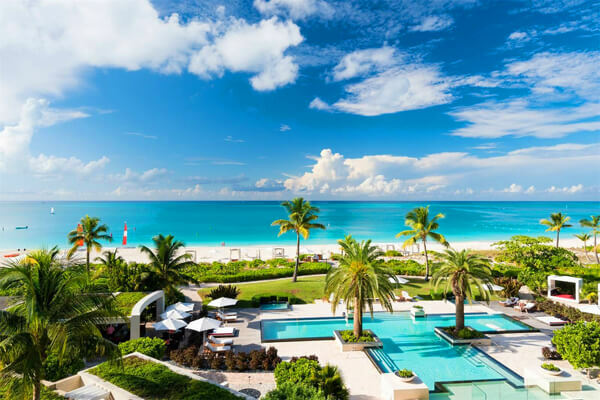 Beachfront barefoot luxury for any couples' getaway. 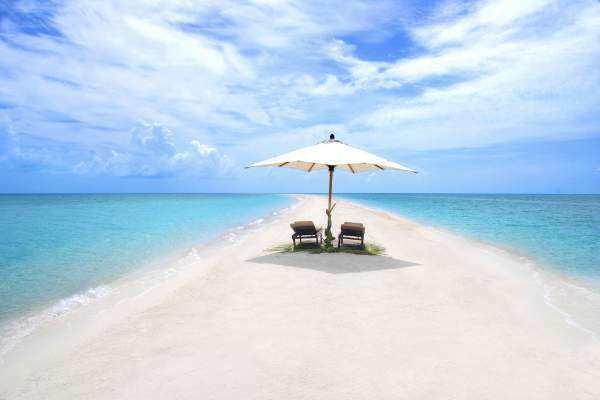 Has specials. 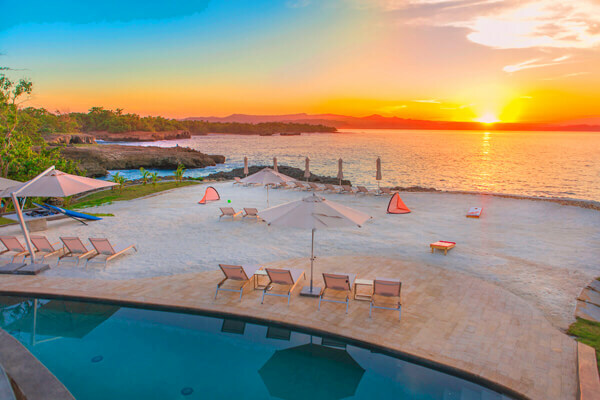 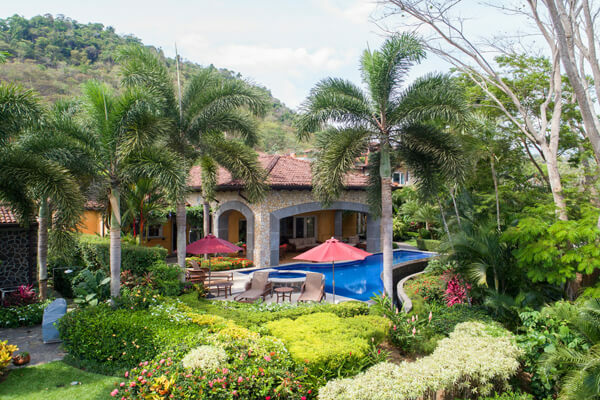 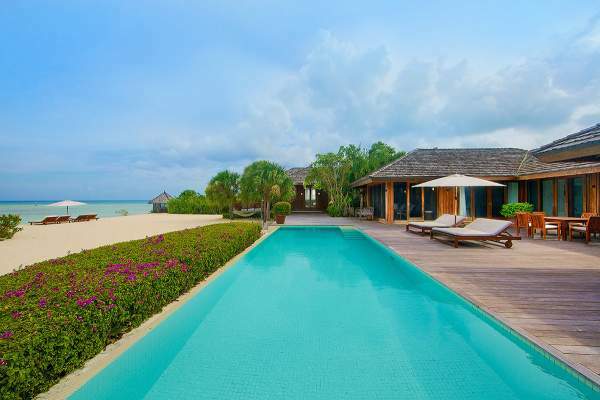 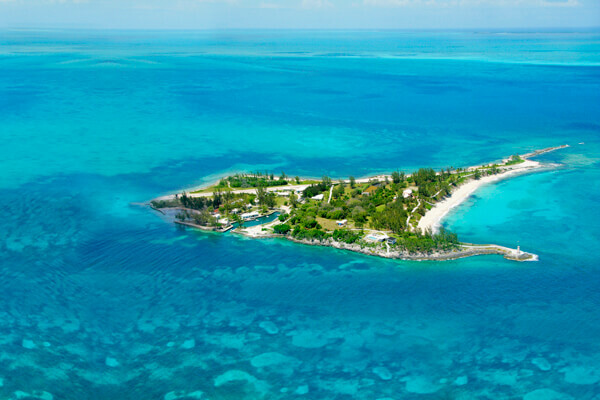 Luxurious resort villa with a gorgeous tropical setting and convenient location. 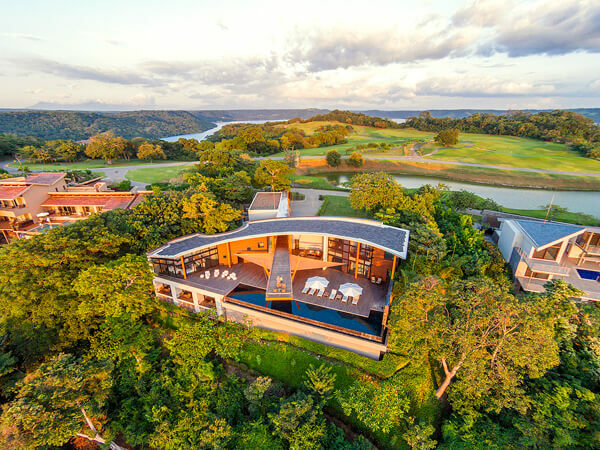 Panoramic views and an open design elevate this hilltop villa. 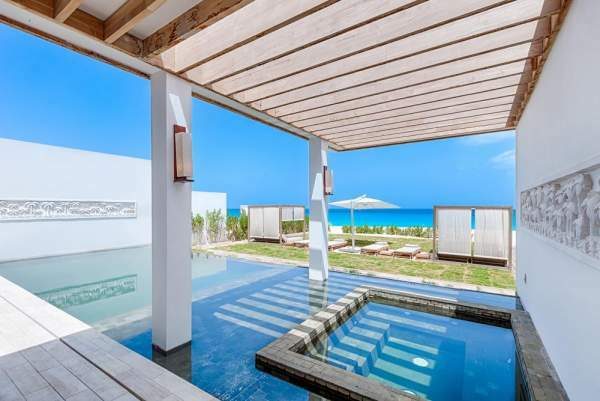 From beaches to sports, Casa del Mar Villa within exclusive Domaine du Levant has something for everyone 4 BR rate available. 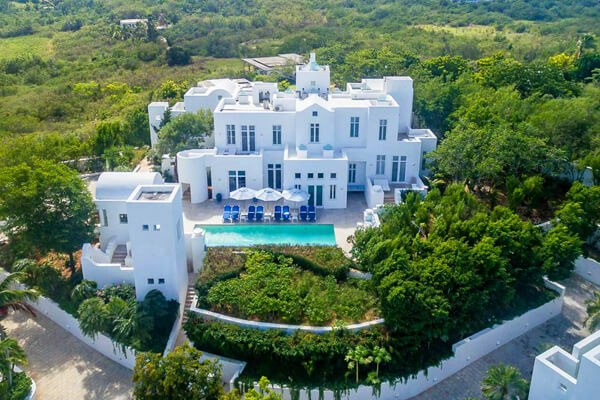 Gorgeous six-bedroom villa offers spacious accommodations, unbelievable views, and privacy for a dream vacation 4 & 5 BR rates available. 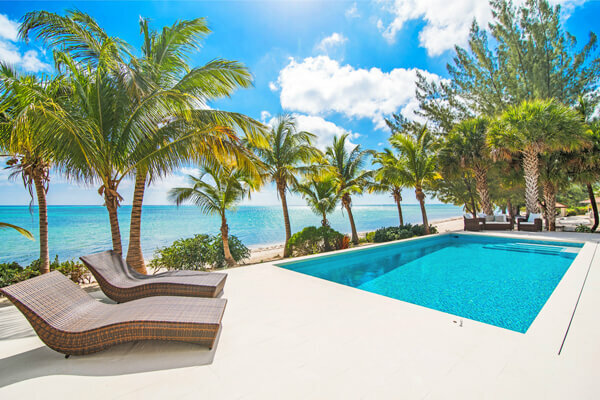 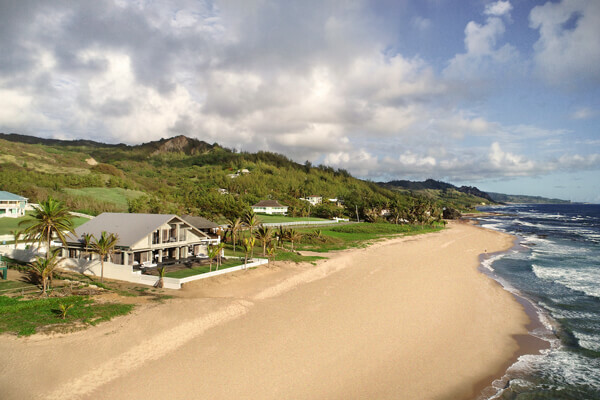 Luxury accommodations and a magnificent outdoor area make this large, ocean-facing property perfect for big families or groups 1, 2, 3, 4 & 5 BR rates available. 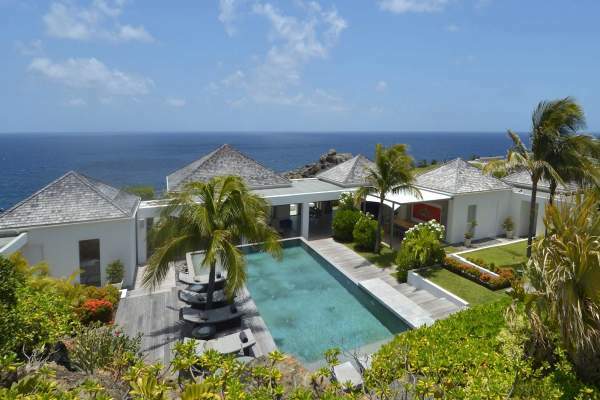 Eye-catching six bedroom villa with outdoor retreat and private tennis court. 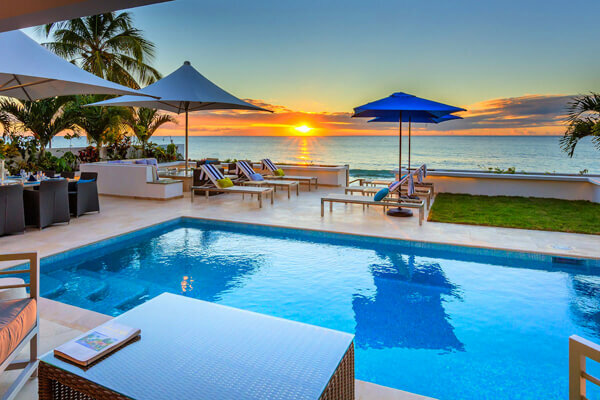 4 & 5 BR rates available. 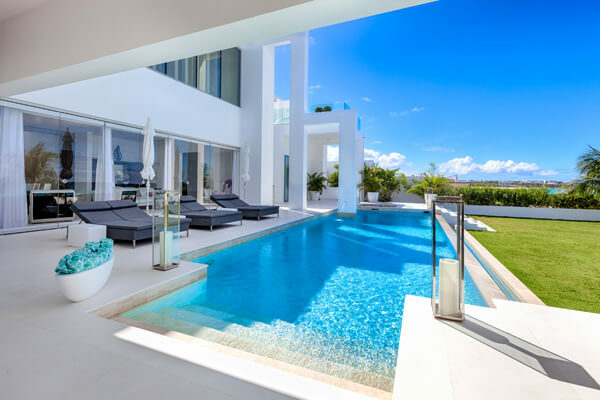 Luxurious infinity pool and a clean, open layout. 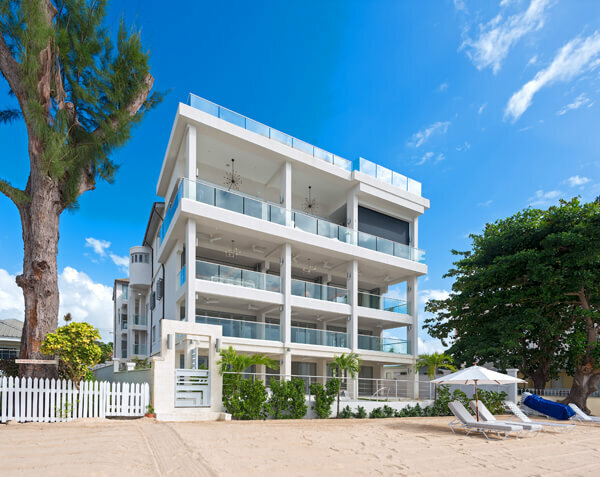 3 & 4 BR rates available. 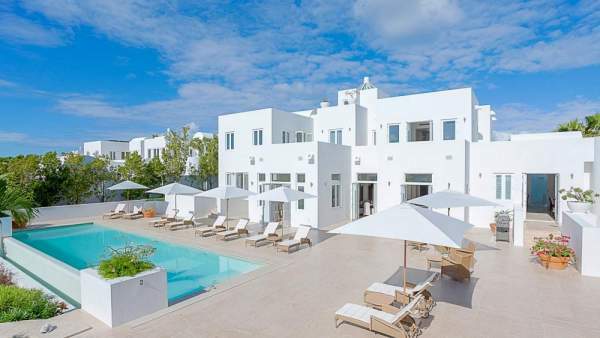 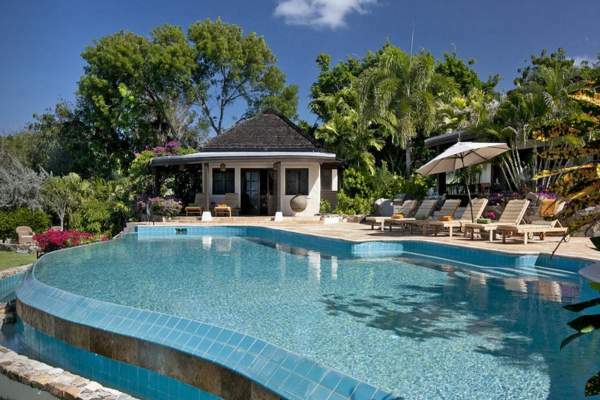 Luxurious, fully staffed villa perfect for families of any age. 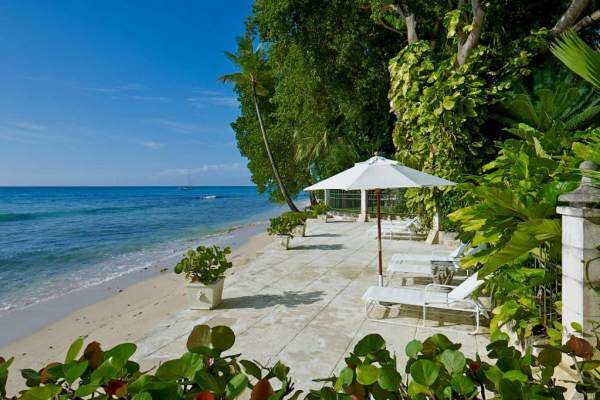 An air-conditioned mini-gym and a shady area to enjoy an afternoon massage await at Palm Beach Villa. 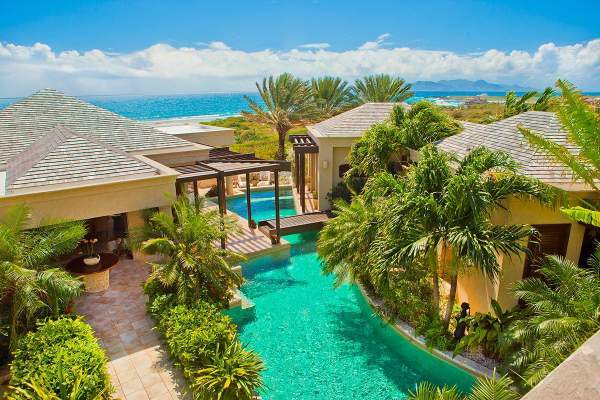 4 BR rate available. 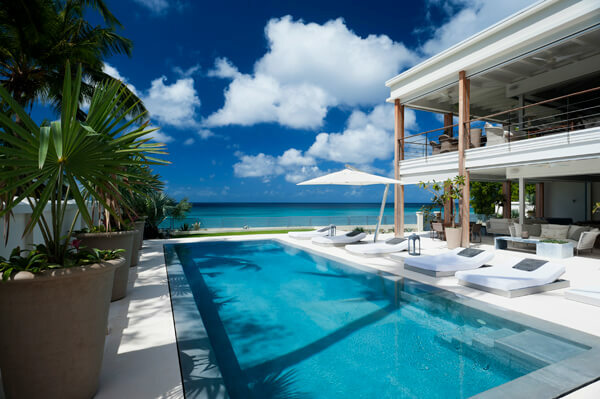 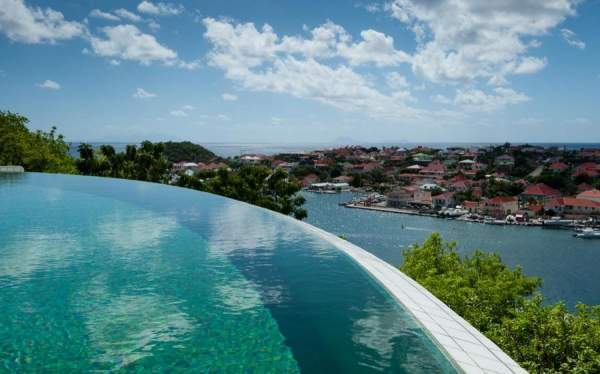 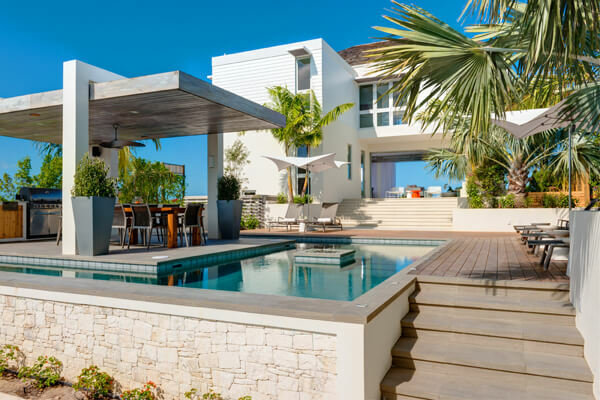 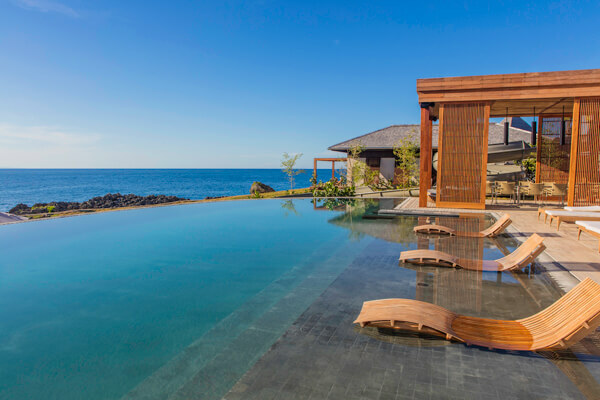 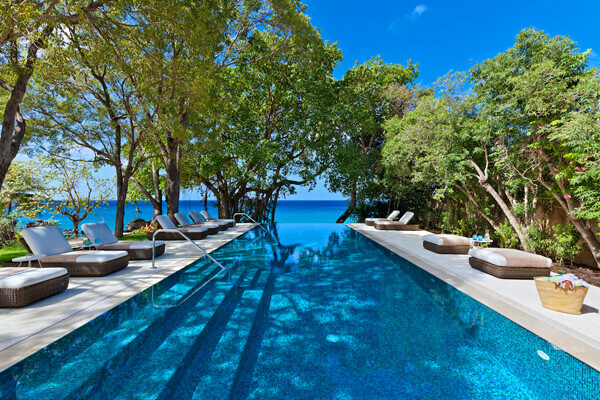 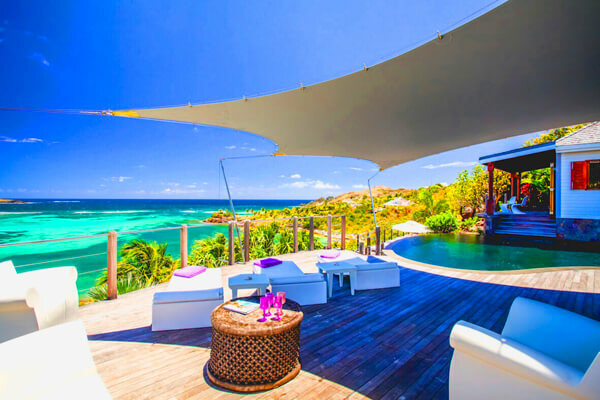 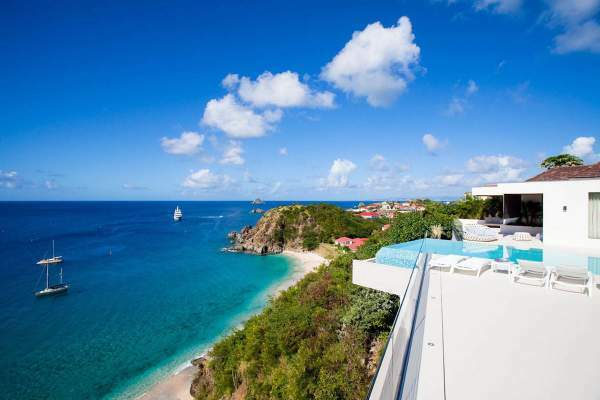 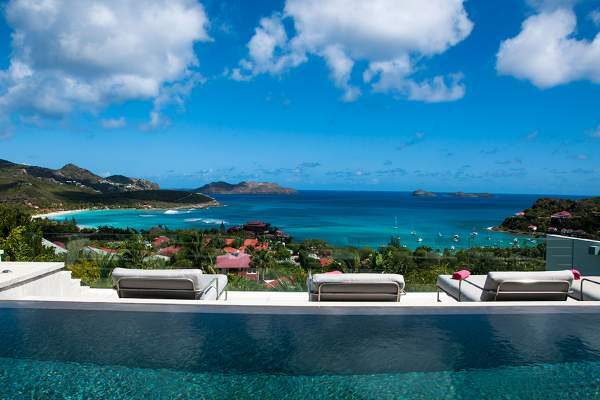 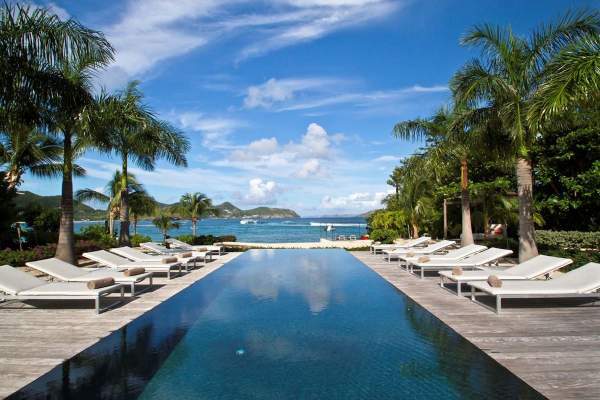 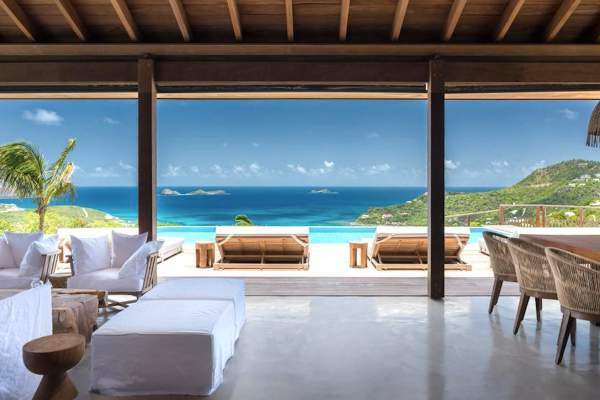 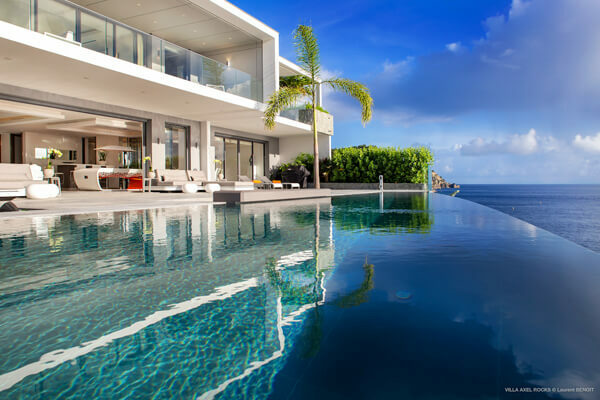 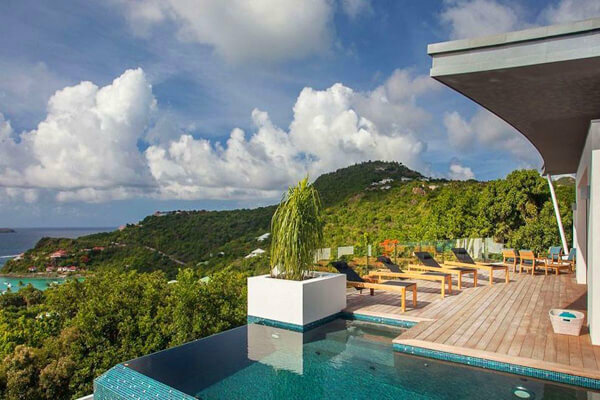 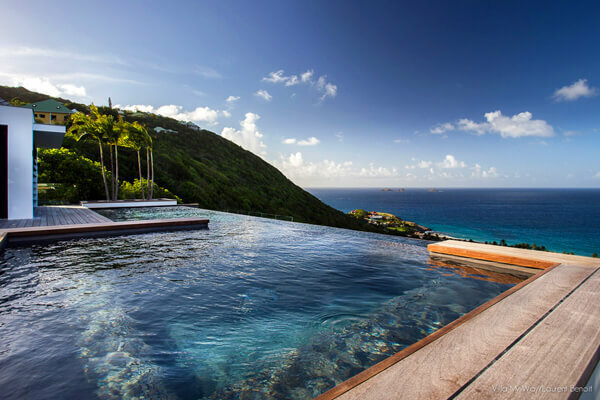 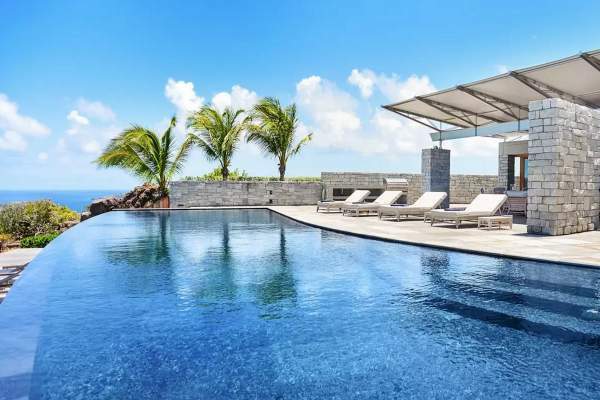 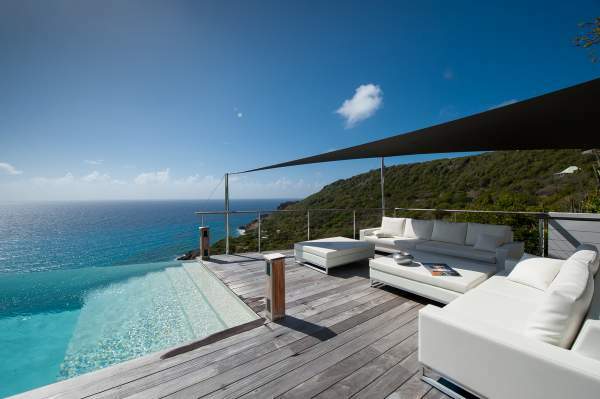 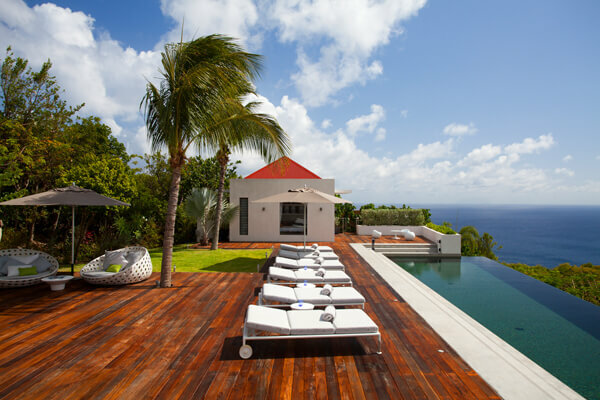 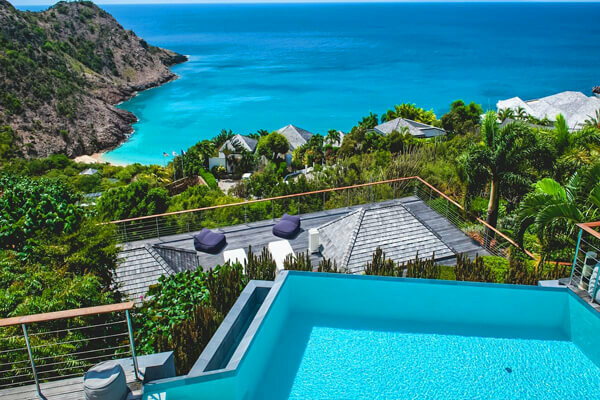 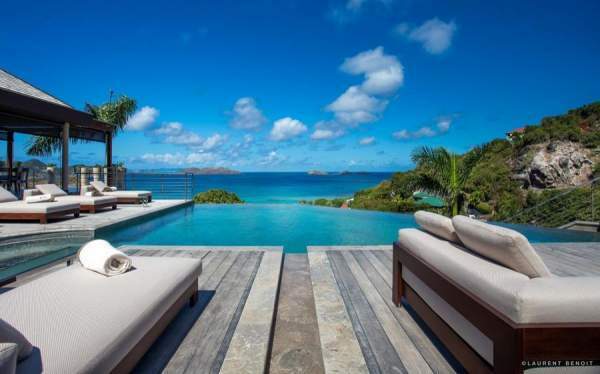 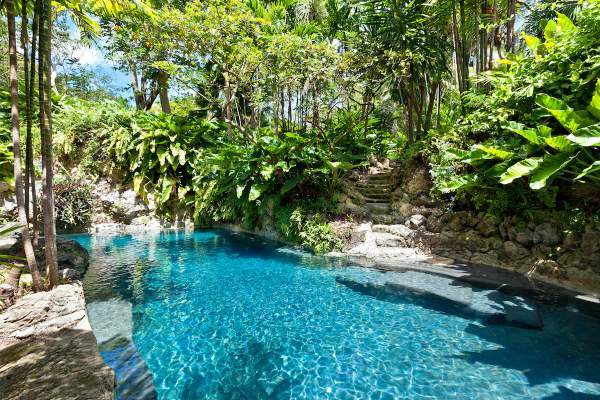 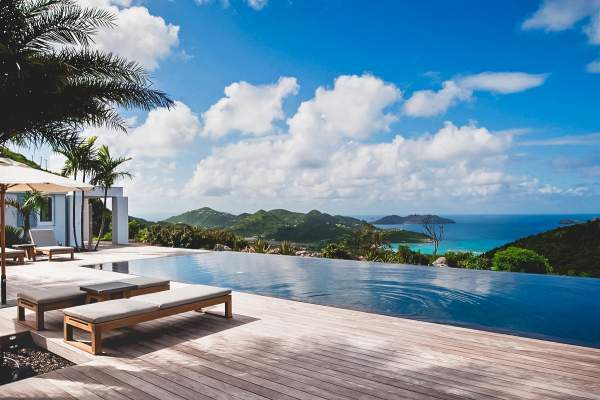 Ultra-modern getaway on St. Bart's is contemporary cool with a huge private pool and lawn 2, 3 & 4 BR rates available. 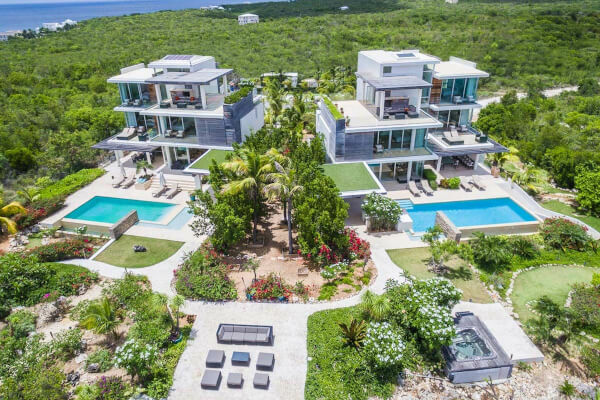 One-of-a-kind modern villa takes luxury to a new level and boasts incredible views of the Caribbean Sea 3 BR rate available. 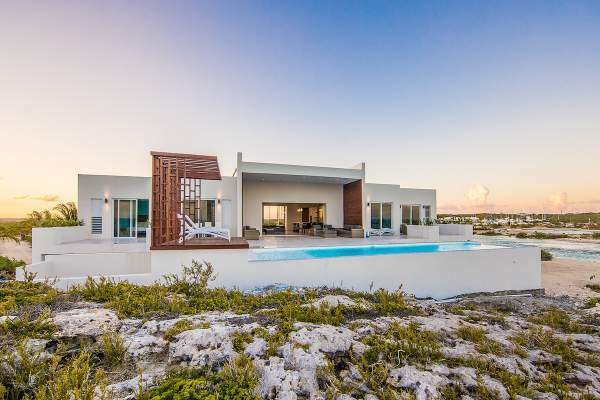 Luxurious, extremely modern villa with stunning sunset views, privacy, and lots of space. 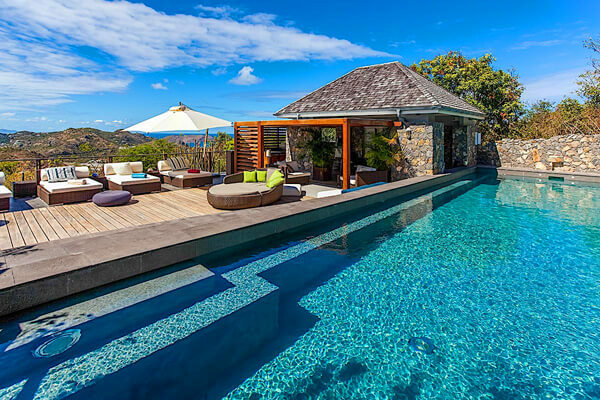 3 BR rate available. 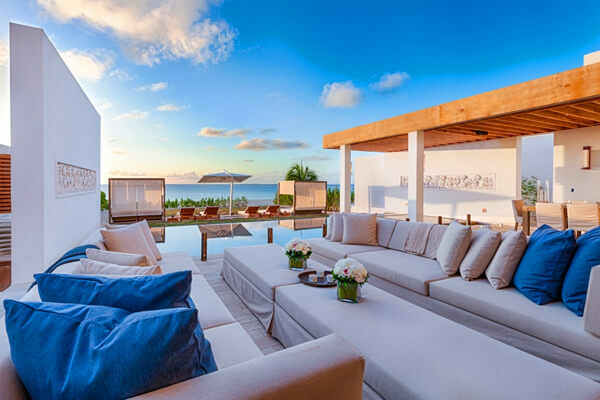 Five identical bedrooms with a gorgeous outdoor area. 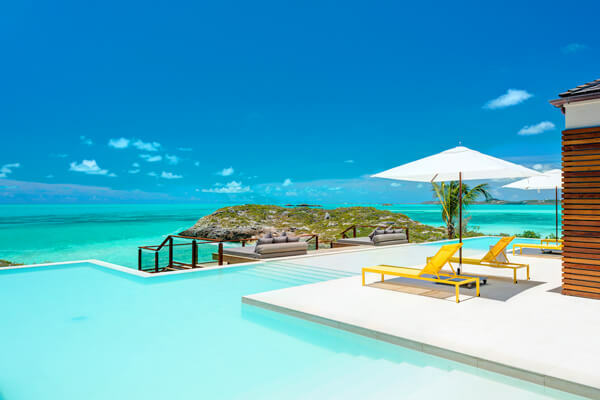 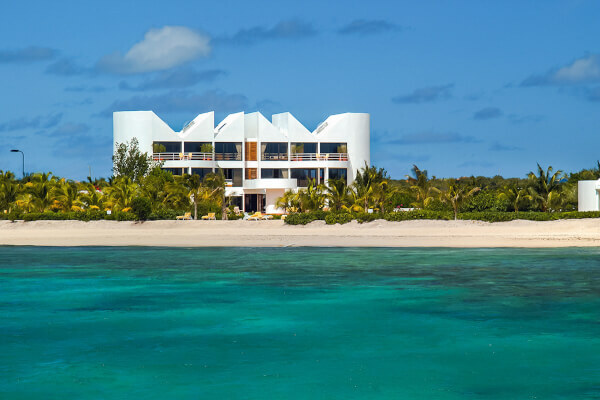 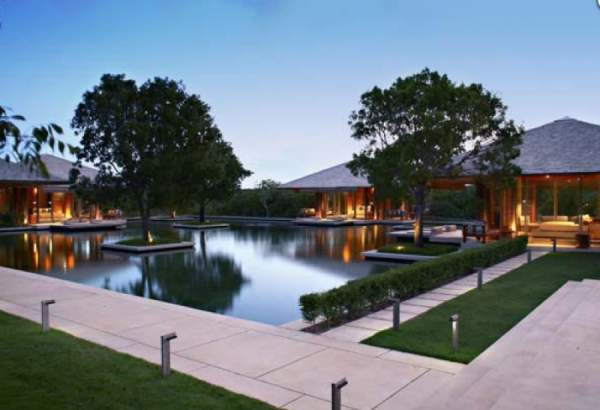 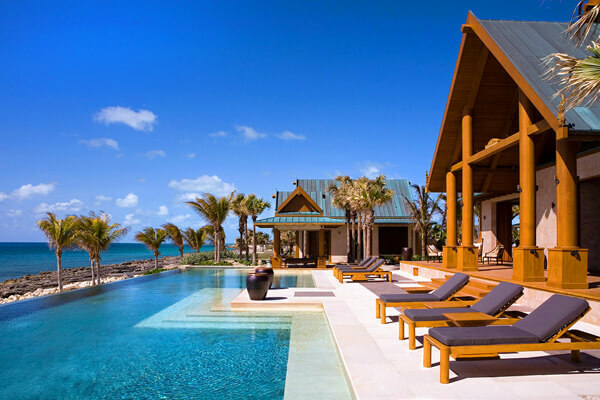 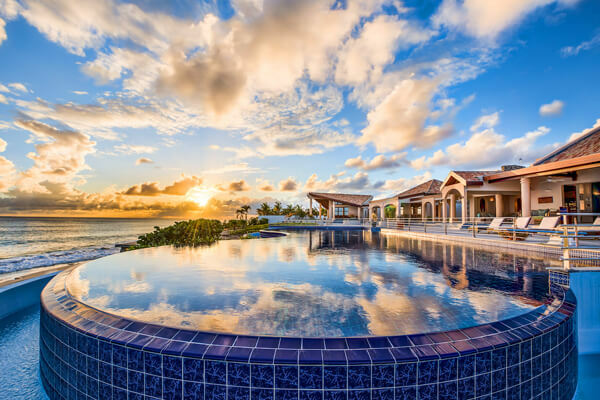 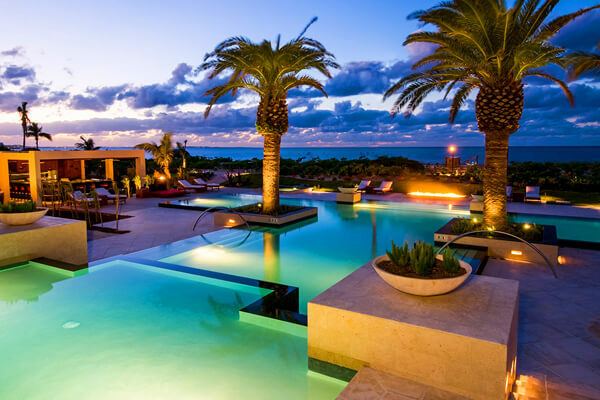 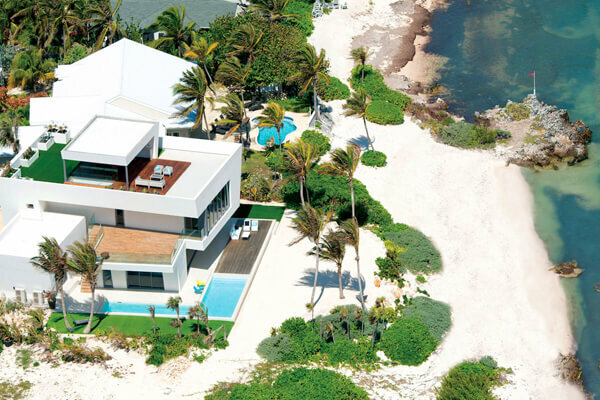 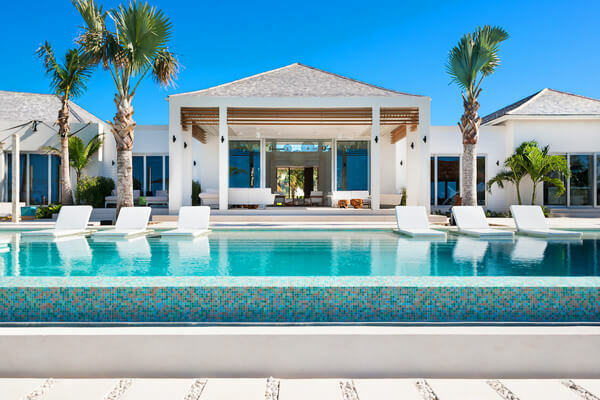 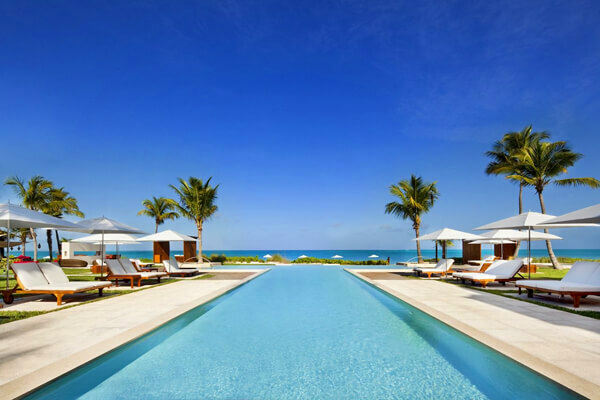 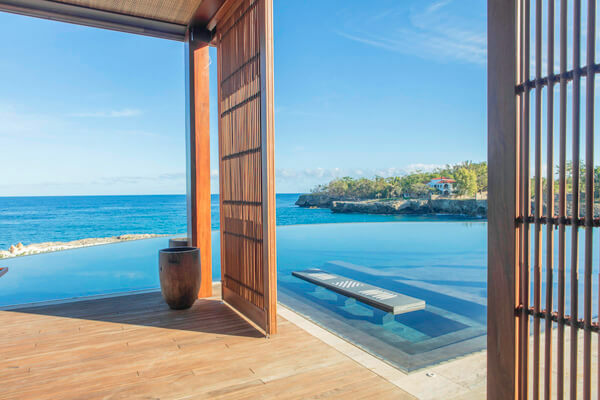 Two pools, a gym, and musician-inspired bedrooms set this villa apart from others on the island. 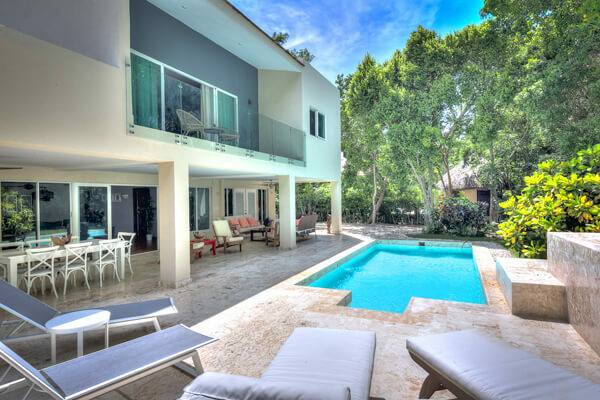 3 & 4 BR rates available. 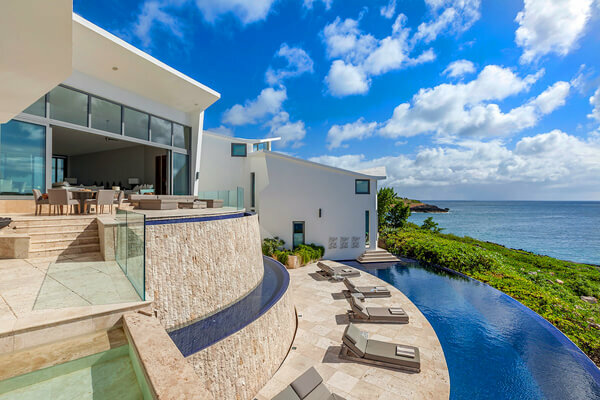 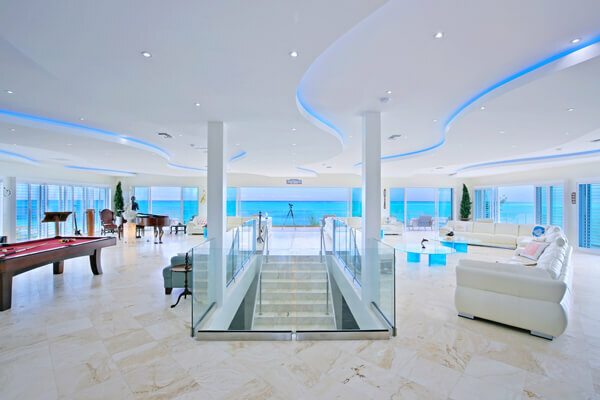 Endless ocean view with massive living spaces and three stories of luxury. 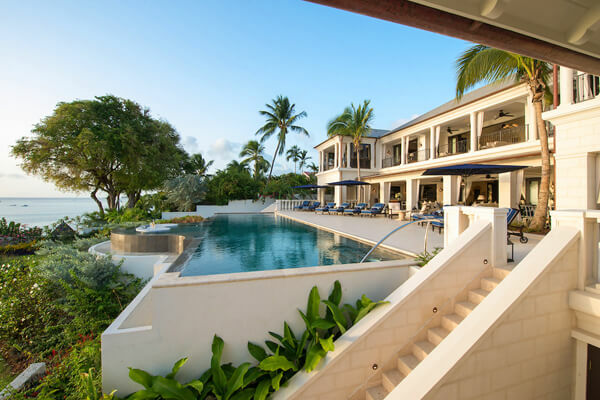 3 & 4 BR rates available. 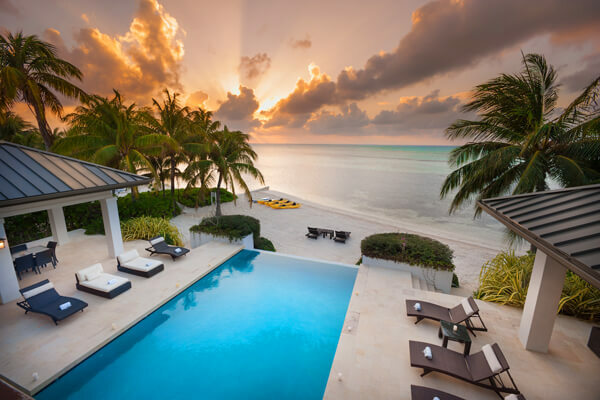 Designer bedrooms with amazing sunset views. 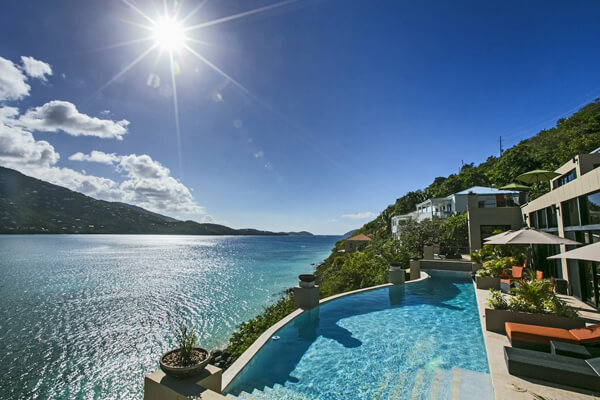 3 & 4 BR rates available. 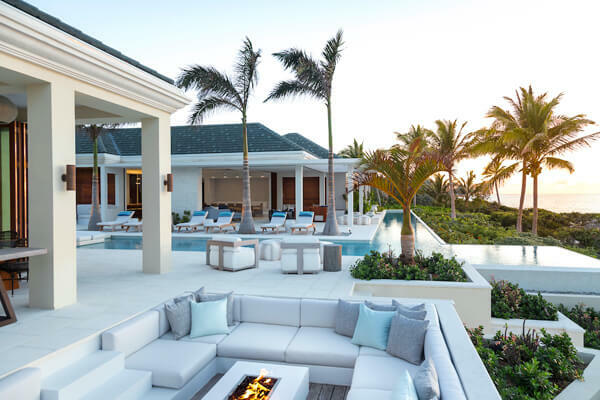 Zen decor fills this luxury retreat in St. Jean bay. 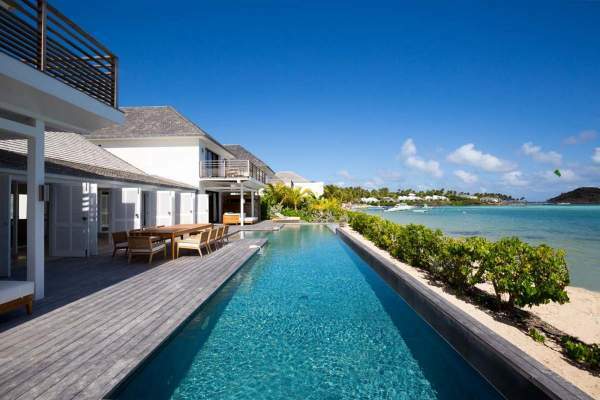 3 BR rate available. 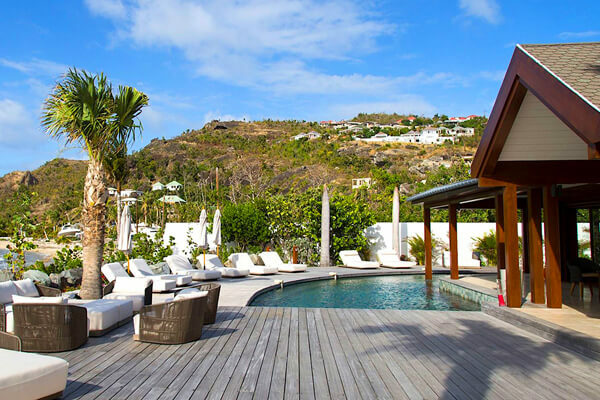 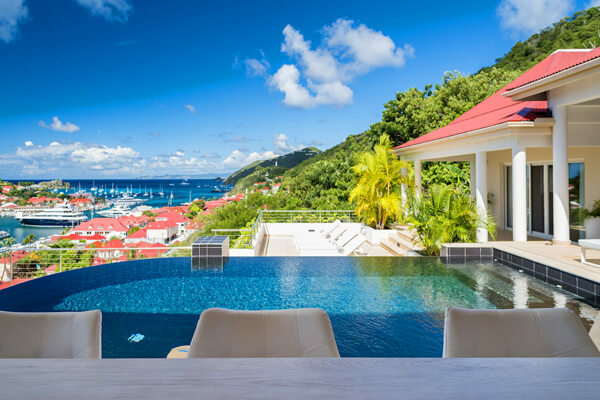 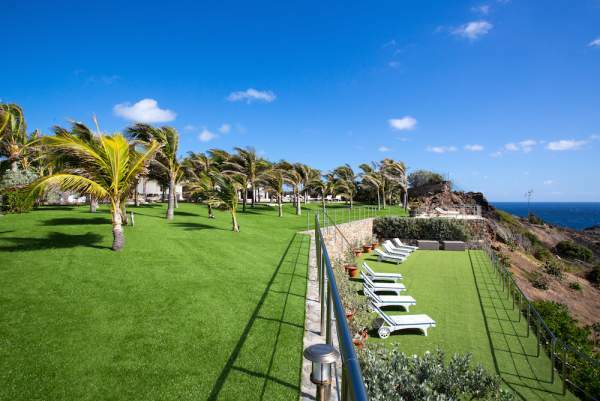 Amazing sunset views and walking distance to all Gustavia has to offer. 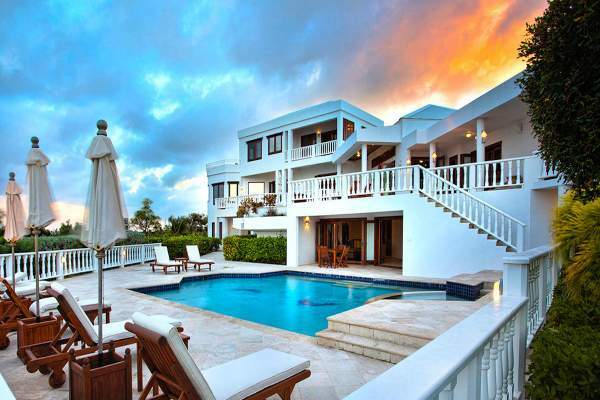 2 & 3 BR rates available. 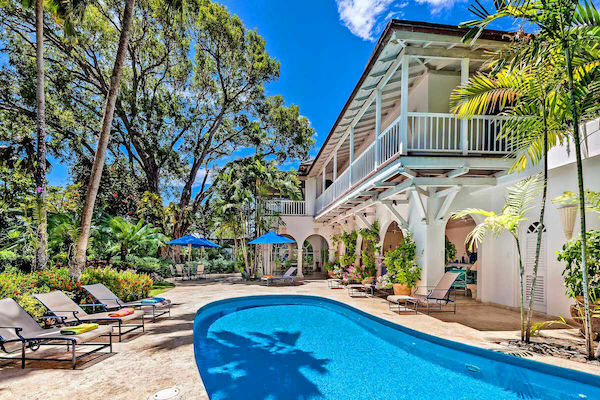 A guest cottage and an elegant main house make this four-bedroom the perfect retreat. 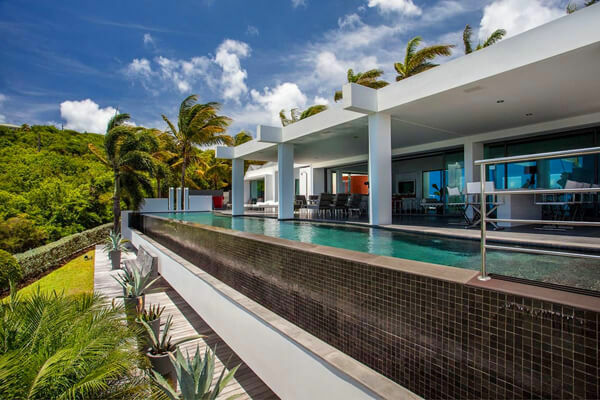 Huge contemporary home with separate bungalow is super private and has amazing sunset views! 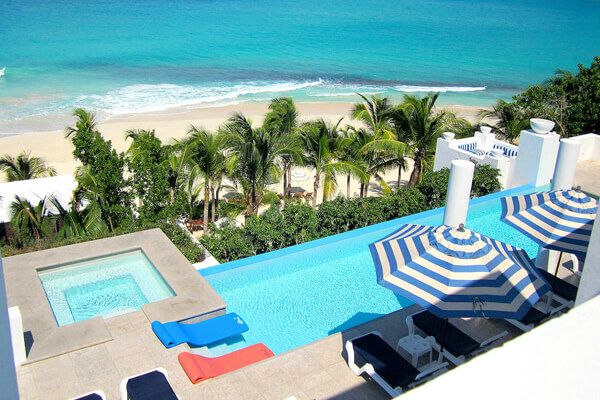 2 & 3 BR rates available. 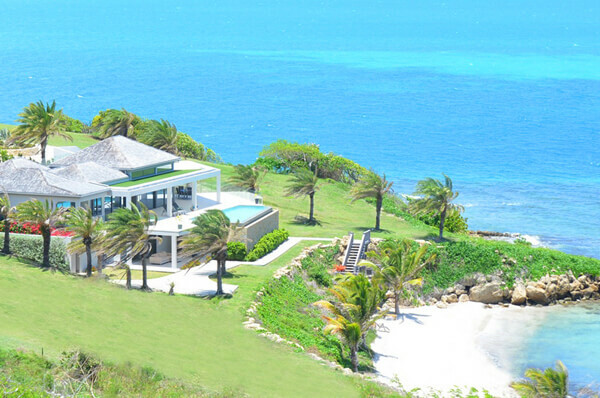 Private and serene, Olive Villa comes with 4 bedrooms and stunning views over St. Jean Bay 1, 2 & 3 BR rates available. 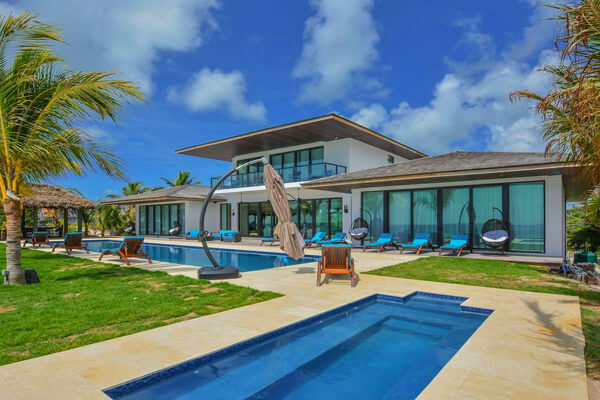 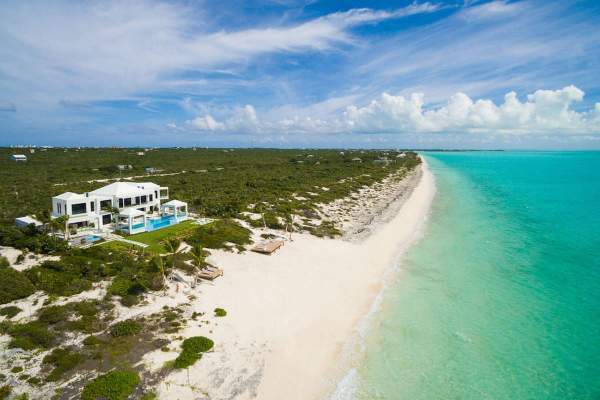 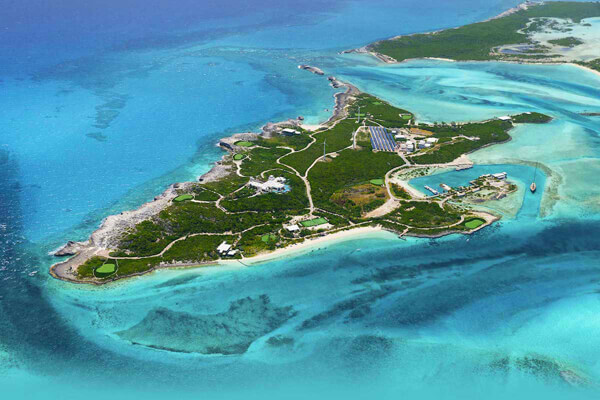 Architecturally striking villa with unique design and proximity to St Jean Bay. 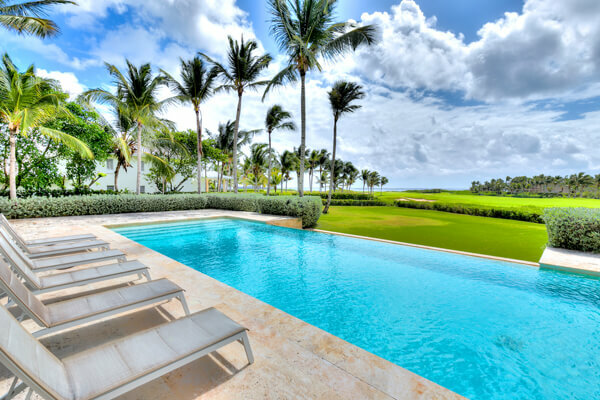 2 & 3 BR rates available. 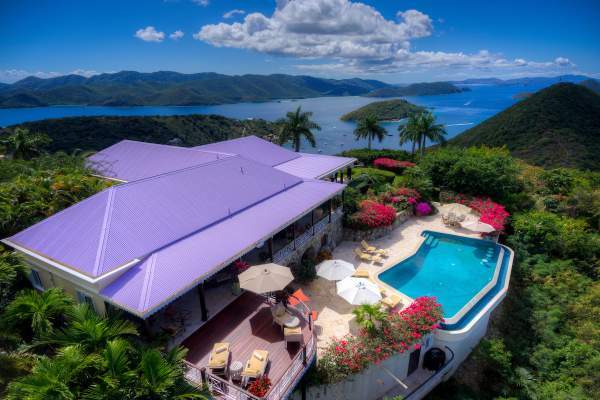 Multiple living areas, proximity to town, and stellar views set this villa apart. 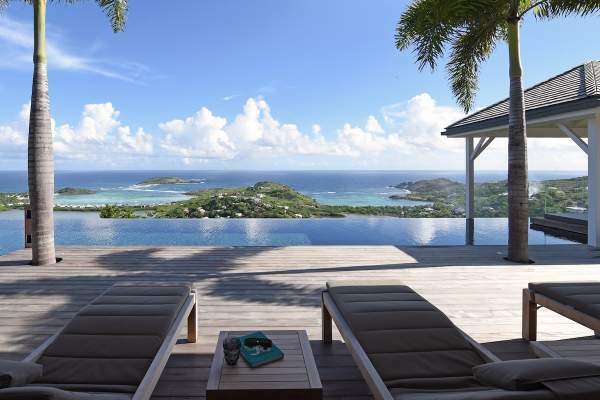 2 BR rate available. 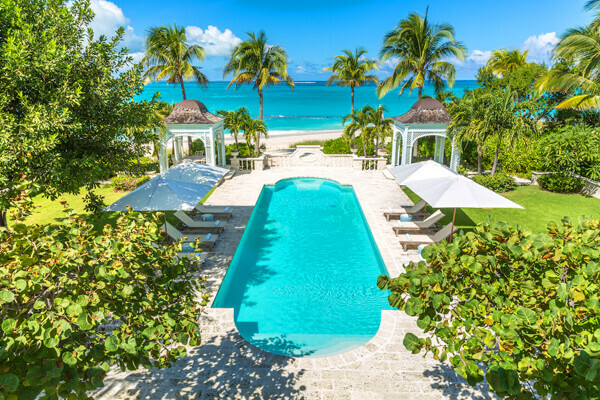 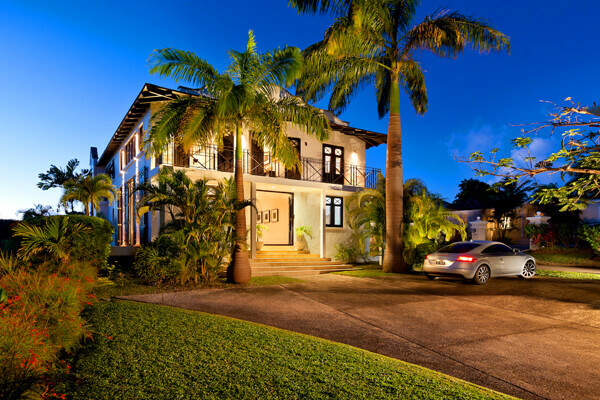 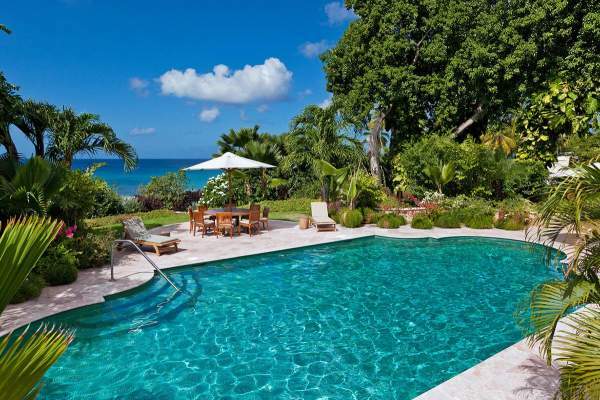 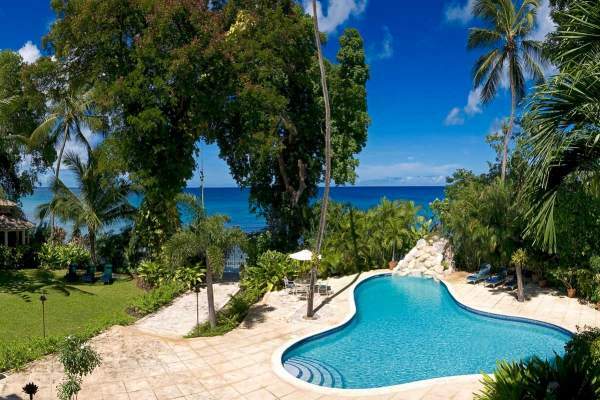 A chic and spacious villa right on the Royal Westmoreland golf course. 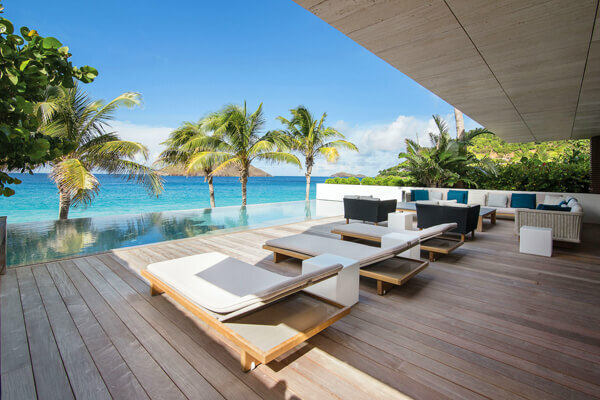 Ultra modern North Shore villa with four levels of deck space. 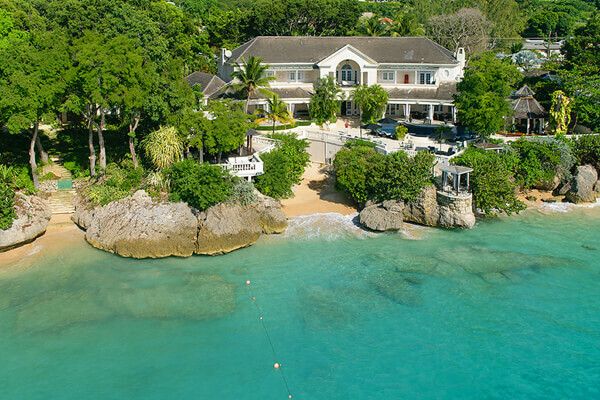 Has specials. 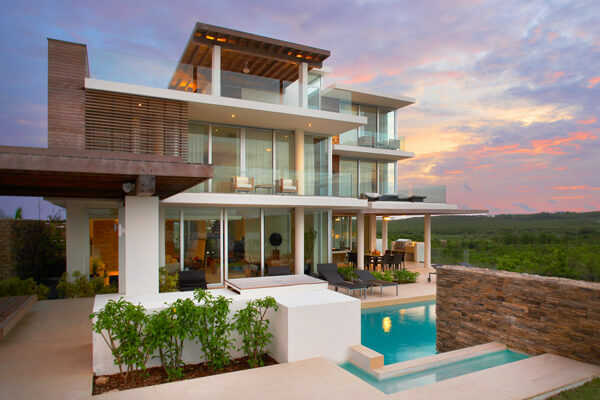 Urban villa within minutes of dining and the harbor.